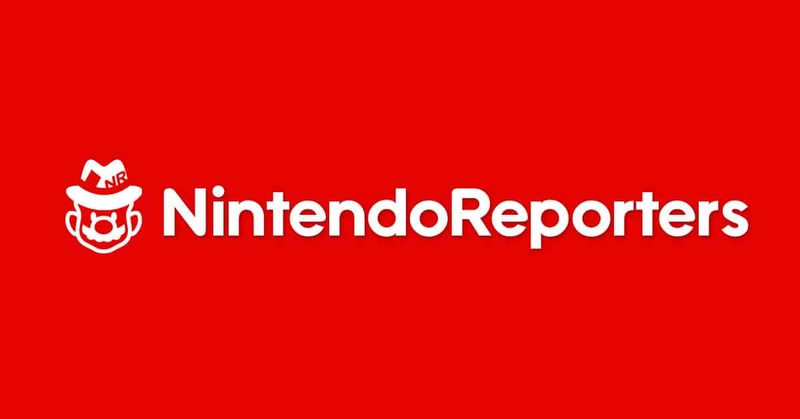 NintendoReporters.com – 100% pure Nintendo for and by Nintendo fans! Ever since daybreak I have had a penchant for the gaming world and with a primary focus on what Nintendo does. They have always been at the forefront of innovations and the like in the field of gaming. Reporting in the Netherlands in the field of Nintendo was not as good as I wanted it to be. That is why I decided to set up my own medium, Nintendo Reporters. PFSquad.NU – Putting smiles on faces is what we do! Party pictures + news from (mainly) the harder dance scenes. In short, I am often found at various EDM / Dance events and I provide an impression of the relevant event. Usually at the request of a location and / or organization. Besides being a head of photography, I am also the webmaster / owner. The website you are currently viewing; what gives a look of who I am and what I do. Unfortunately, I do not always find the time to provide this website with updates because of the other projects that require their time / attention. The core of who we are is that LanthopusX is more than an IT company. It is a company of people, in which it is all about the role you play in a team. Every person is different and the way LanthopusX also classifies functions. LanthopusX believes that the power of every company lies in the variety of people instead of looking for all of the same. Within LanthopusX I work on all aspects of SEO, but I am also responsible for the revision of the hosting, research on various new techniques and knowledge sharing. Due to some factors LanthopusX and I parted ways as my contract was not prolonged, these factors where eventually resolved in February 2019 after which I joined LanthopusX again. Scherponline.nl is an online marketing agency that specializes in online findability, online advertising and web design. Scherponline.nl has various techniques and tools to achieve the desired goal. Scherponline is also an official Google partner, certified Trusted Photographer and AdWords Trainer. What makes Scherponline.nl unique is the short communication line with a customer and the involvement that ensues with projects. This makes it possible to achieve the desired result for both small and large customers. At Scherponline I worked on several aspects of SEO and development. Garcon4U developed smart solutions (applications) for the hospitality industry and their guests. This includes business applications as well as consumer apps and websites. My first concrete contact with a full-time developers position where I have been able to further expand my knowledge on both front-end and back-end technical aspects in the area of SASS / CSS3, jQuery and especially the Laravel framework. A second company called Start-Apps was founded within Garcon4U because, in addition to developing the Garcon4U application, other projects were also being facilitated for third parties. Start-Apps is a Dutch software factory that builds customized websites, (web) applications and apps for start-ups and existing companies. With the assignments from Start-Apps I was mostly in touch with WordPress and I was able to develop myself further in the field of WSO (Web Site Optimization) and SEO (Search Engine Optimization). Reason stopped: Parent company (Dada Group) from Italy decided to phase out the Dutch staff, to keep the brand, to phase out support etc to the sister company in Portugal. As Technical Support Representative I was responsible for analyzing, explaining and solving technical problems of customers in the Netherlands. In addition, I gave technical training and was responsible for supporting customers through the optional services offered by the client. Reason stopped: In search of a new challenge. Telephone and email support on all hosting and account matters, but also sales conversations and the handling of aftersales occasions. Within Alphamega Hosting I was also working at the customization department WebsiteKlusjes.com, my working hours were finally divided between both departments. Reason stopped ; In search of a new challenge. Support to customers via e-mail and telephone about custom-made solutions and customized solutions that we can offer. Designing custom websites, headers, banners, etc. Adapting websites within the in-house CMS of Alphamega Hosting (SwiftySite). Create and modify websites using CSS / (X) HTML / PHP and other ready knowledge. Functions: Inbound call agent, outbound call agent, abusedesk agent , replacement callcoach, escalation agent. ADSL phone support desk for various ISPs. Exemption for almost all subjects. No possibility of direct transfer to second year. No possibility of an accelerated completion of year 1. No possibility for heavier teaching materials. Therefore, in consultation with my parents, I went looking for a job, partly because other interests would mean that I had to move to North Holland, which was something I did not want to do. Thinks of the subjects: European Computer Drivers License , Aries A+ , Cisco CCNA , Microsoft MSCE. It is good to indicate that you should not be wrong with SEA (Search Engine Advertising) where it is much more focused on keyword analysis, CTR, bids etc. I know the basics of … but that work can better accommodate you with someone whose heart is there. Github and Bitbucket and I have worked according to Scrumm and Agile methodologies. The latter is still largely due to my private use for various purposes and what remains from my CMD (Communication Multimedia Design) education. flexible attitude, initiative, analytical, ambitious, independent and perseverance. I also find self-study a hobby of myself and I am also regularly in books or online researching (though for example www.lynda.com). Applying targeted SEO = getting more out of your website! Speed = performance = conversion / turnover?